Dr Ouditt is Subject Leader for English and is responsible for shaping, maintaining and delivering the subject to relevant degree courses (e.g. BA (Hons) English, BA (Hons) English with Creative Writing, and Joint Honours in Humanities). She is Module Leader for Reading Gender and Sexuality at Level 3, and teaches First World War Writing, Gender and Modernism at Level 2. At Level 1 she leads the core module, Arguing about English, and contributes to The Book Group, which focuses on close reading. Dr Ouditt also teaches on the MRes in English Research and on the Professional Research Practice course for doctoral students. She is a member of the College Research Degrees Committee (College of Arts and Sciences), supervises several doctoral students, and contributes to the smooth-running of research degrees in the College. Dr Ouditt's monograph, entitled Impressions of Southern Italy: British Travel Writing from Henry Swinburne to Norman Douglas, has recently been published by Routledge in the Research in Travel Writing series. Dr Ouditt has also guest-co-edited, with Loredana Polezzi, a special edition of Studies in Travel Writing, entitled Travel Writing and Italy. Dr Ouditt's next substantial project will be a scholarly edition of Evelyn Waugh’s travelogue, Labels, for the Collected Works of Evelyn Waugh, to be published by Oxford University Press. Shorter projects include an essay on Kathleen Dayus for the Cambridge Companion to British Working-Class Literature, an essay on the Australian writer Shirley Hazzard, and occasional essays on the literature of the First World War. Dr Ouditt has recently contributed to the Edinburgh Companion to Twentieth-Century British and American War Literature and to The Cambridge Companion to the Literature of the First World War, work which builds on her earlier Fighting Forces, Writing Women: Identity and Ideology in the First World War and Women Writers of the First World War, both published by Routledge. Opportunities to carry out postgraduate research towards an MPhil/PhD exist. 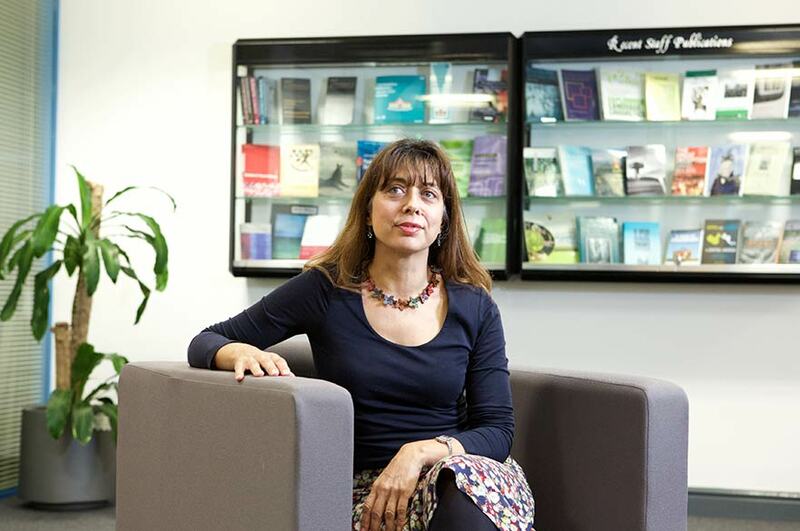 Dr Ouditt has recently supervised PhD theses on twentieth-century women writers and is presently co-supervising a project on Feminism and Romanticism, plus creative writing projects with a particular emphasis on the female narrative voice. She would welcome enquiries on topics related to gender and writing in the twentieth and twenty-first centuries, on travel writing, and on British writers’ constructions of Italy. Further information may be obtained from the NTU Graduate School.